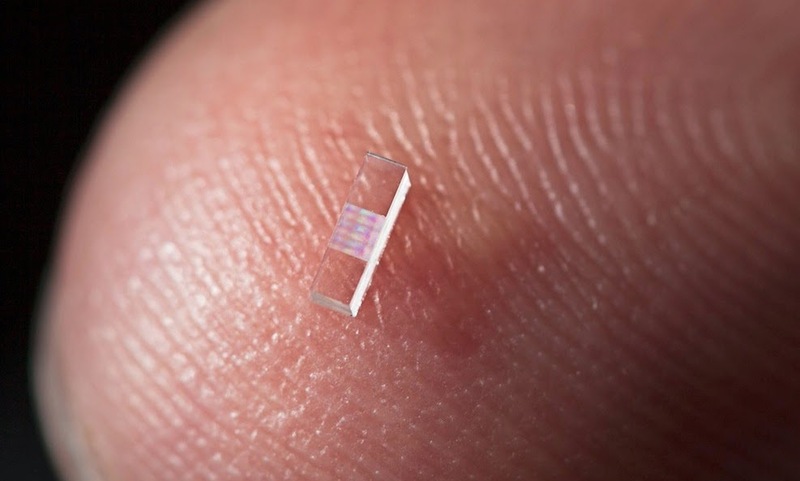 In the accelerator-on-a-chip experiments, electrons are first accelerated to near light-speed in a conventional accelerator. 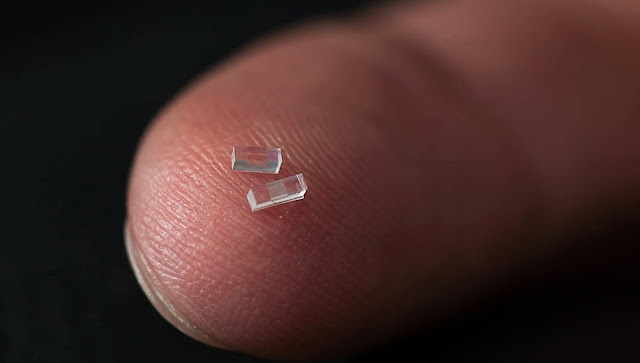 Then they are focused into a tiny, half-micron-high channel within a fused silica glass chip just half a millimeter long. The channel had been patterned with precisely spaced nanoscale ridges. Infrared laser light shining on the pattern generates electrical fields that interact with the electrons in the channel to boost their energy.